The Human Element stars renowned photographer James Balog (of Chasing Ice). “When I became a photographer, I wanted to celebrate the elegance and beauty of Nature,” James notes. “But, I soon realized there was a more complex story going on about the collision between people against nature. “I feel a great sense of urgency to bear witness to the historic moment that we’re in. These changing conditions in our world are not an abstraction – they’re real and immediate and urgent,” James adds. “Balog’s ultimate hope is not to preach, but to use art to raise awareness of the interconnectivity between nature and a singular, all-powerful force on earth: The Human Element. Considering Earth, Air, Water, Fire — and the Fifth Element: People — James continues, “An imbalance in one element leads to an imbalance in another. People are the only elements that can choose to restore balance. And that gives me hope. In The Human Element, Balog follows the four classical elements — air, earth, fire, and water — to frame his journey. 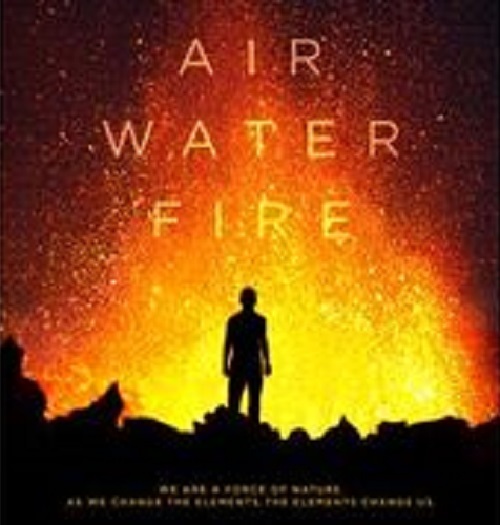 Balog explores wildfires, hurricanes, sea level rise, coal mining, and changes in the air we breathe. The Human Element tells an urgent story. It is also an extended wish for a more balanced relationship between humanity and nature.“We, humans, are a force of nature.